The Department of Sociology, Anthropology and Philosophy at NKU is composed of three programs that examine the human condition. Each program offers a bachelor's degree and one or more minors in these three unique fields of study. Dr. Yaw A. Frimpong-Mansoh's New Book! 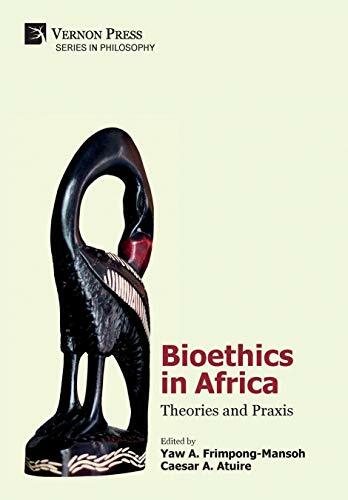 Dr. Yaw A. Frimpong-Mansoh (NKU Associate Professor of Philosophy) just published his book, Bioethics in Africa: Theories and Praxis (https://vernonpress.com/book512 and https://www.amazon.com/Bioethics-Africa-Theories-Yaw-Frimpong-Mansoh/dp/1622734599/)! 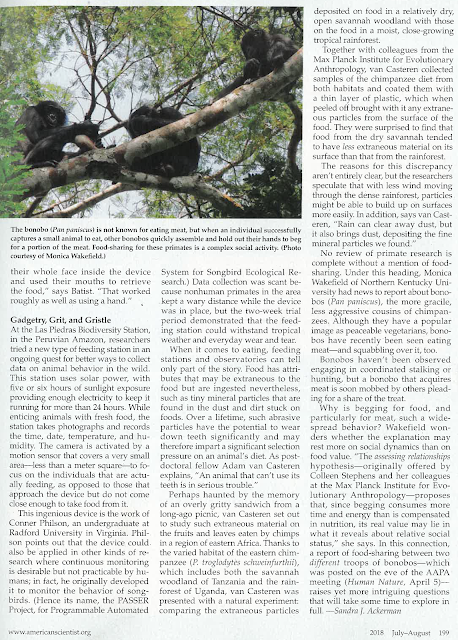 Our own Dr. Monica Wakefield (biological anthropologist) was featured in the summer issue of American Scientist (see third column of second page)! The Department of Sociology, Anthropology, and Philosophy at Northern Kentucky University (NKU) invites applications for a tenure-track Assistant Professor of Anthropology with a specialization in cultural medical anthropology, beginning August 2019. This position is part of a cluster hire with preference given to those whose research has been or will be focused on impacting under-served populations and competency with diversity-related issues. The Department of Sociology, Anthropology, and Philosophy has 17 full-time faculty members, three major programs, 11 minor programs, and three micro-credentials. The Anthropology Program has approximately 95 students split among the B.A. major, minors (disciplinary and multidisciplinary), and focus. NKU is a comprehensive regional university of 14,500 students located seven miles from downtown Cincinnati, OH in an area offering an outstanding quality of life. It is near a variety of natural areas and is a nationally recognized metropolitan university committed to active engagement with the Northern Kentucky/Greater Cincinnati region of nearly two million people. 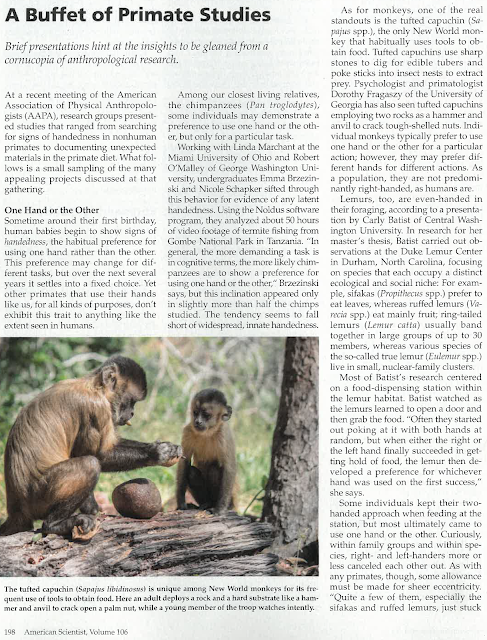 For additional information about the Anthropology Program at NKU, visit http://nku.edu/anthropology. Geographical area negotiable, with preference given to Africa, Middle East, and Native America. Candidates should be prepared to teach introduction to cultural anthropology, medical anthropology, ethnographic methods and research, and a culture area course. In addition, candidates must be able to teach upper-division courses in their area of expertise and both face-to-face and accelerated online courses. Candidates must have Ph.D. in anthropology completed by time of appointment, preferred candidate will have evidence of excellence in undergraduate teaching, a current research project, completed professional papers and/or publications, experience in contributing to the writing of grants, willingness to involve undergraduate students in research, and willingness to participate in civic engagement. Applications should include a cover letter, current vita, and names and email addresses of at least three references. Please include your personal philosophy on diversity and inclusion and why they are important in higher education. Letters of recommendation will be requested upon narrowing the candidate pool. Any candidate who is offered this position will be required to go through a pre-employment criminal background check as mandated by state law. The Department of Sociology, Anthropology, and Philosophy at Northern Kentucky University (NKU) invites applications for a tenure-track Assistant or tenured Associate Professor of Sociology with a specialization in social psychology, beginning August 2019. This position is part of a cluster hire with preference given to those whose research has been or will be focused on impacting under-served populations and competency with diversity-related issues. The Department of Sociology, Anthropology, and Philosophy has 17 full-time faculty members, three major programs, 11 minor programs, and three micro-credentials. The Sociology Program has approximately 90 students split among the B.S. major (one face-to-face and another online), minors (disciplinary and multidisciplinary), and focus. NKU is a comprehensive regional university of 14,500 students located seven miles from downtown Cincinnati, OH in an area offering an outstanding quality of life. It is near a variety of natural areas and is a nationally recognized metropolitan university committed to active engagement with the Northern Kentucky/Greater Cincinnati region of nearly two million people. For additional information about the Sociology Program at NKU, visit http://nku.edu/sociology. Research interests are negotiable, but preference given to areas of the environment and criminology. Candidates should be prepared to teach introduction to sociology, social inequality, and social psychology. In addition, candidates must be able to teach upper-division courses in their area of expertise and both face-to-face and accelerated online courses. Candidates must have Ph.D. in sociology completed by time of appointment, preferred candidate will have evidence of excellence in undergraduate teaching, a current research project, completed professional papers and/or publications, experience in writing grants, willingness to involve undergraduate students in research, and willingness to participate in civic engagement. Applications should include a cover letter, current vita, teaching philosophy, and names and email addresses of at least three references. Please include your personal philosophy on diversity and inclusion and why they are important in higher education. Letters of recommendation will be requested upon narrowing the candidate pool.